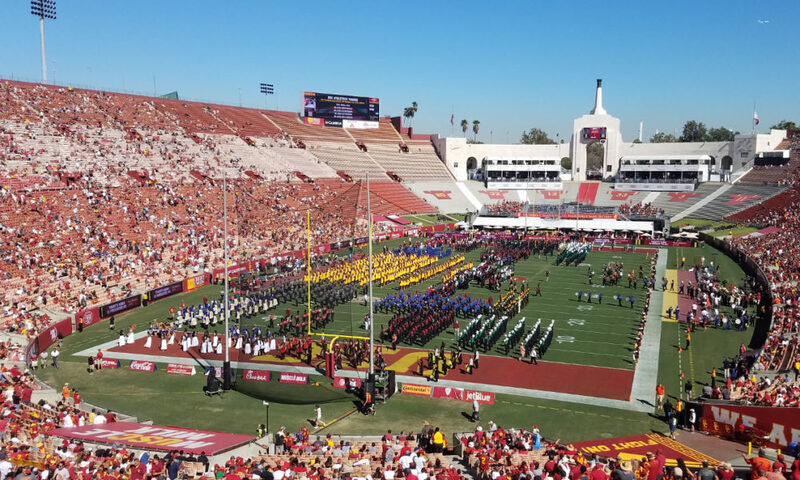 Mayor of Los Angeles Eric Garcetti guest conducted the Trojan Marching Band (TMB) and 1,400 students from fourteen local schools at halftime of the USC football game last Saturday. 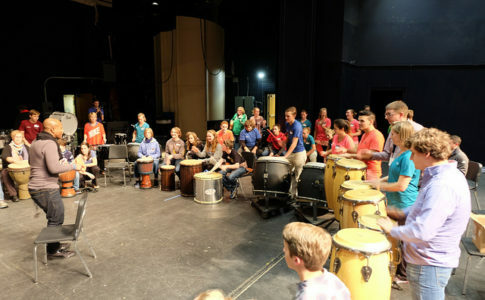 The combined band performed the city’s unofficial anthem “I Love L.A.” by Randy Newman in celebration of the Olympics’ return to Los Angeles in 2028. The young performers took part in “High School Band Day” — a tradition dating to the 1940s — where secondary school students are invited to perform with the TMB at a USC football game. Garcetti did not assume his role as guest conductor without preparation. As well as being an accomplished jazz pianist, Garcetti was previously serenaded with “I Love L.A.” by the Trojan Marching Band at his second inauguration this past June. Although the TMB has performed at numerous civic events through the years, it was the program’s first appearance at a mayoral inauguration. Fittingly, Garcetti will be the first Mayor of Los Angeles to guest conduct the TMB. Garcetti joins a long list of dignitaries who have guest conducted for USC’s High School Band Day including Steve Allen, Robert Zemeckis and Elmer Bernstein. 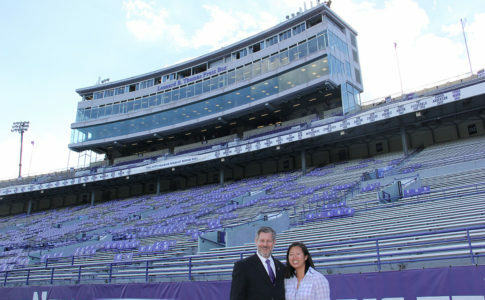 The event provides young musicians and auxiliary members an exciting chance to perform in a college football stadium in front of a large crowd. For many students, it is their first experience in a university setting. In fact, all of the bands on Saturday are directed by alumni of the Trojan Marching Band, some of whom were first exposed to USC at previous High School Band Day events.